Our second episode of Coffee Break French Season 3 provides further details on Katie who has been writing her diary about her experience studying French in Nice. In this episode we’ll be looking at more language points which come up in Katie’s diary including direct and indirect object pronouns. 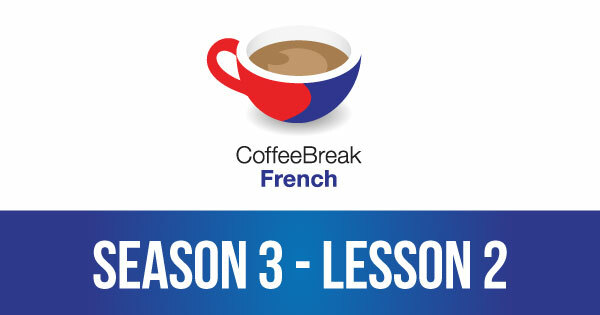 Please note that lesson 02 of Season 3 was originally known as lesson 302 of Coffee Break French. We have renumbered the lessons of each season as lessons 1-40 to make things more simple for our listeners. Pedantic quibble: there is no “University of Boston”; it’s “Boston University”. US universities are named in one form or the other but the two names are never freely interchangeable. As far as I can tell it’s an arbitrary distinction with no significance beyond tradition, though I suppose in French the two names would be translate identically.